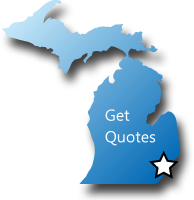 We help Michigan business owners find more affordable workers' compensation quotes. Learn about Workers Compensation Shop.com programs available in Michigan. 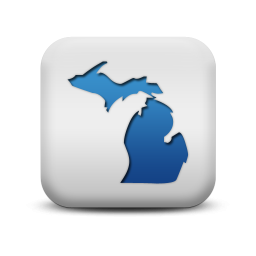 Find your state workers compensation rates and class codes for Michigan. View and complete MI workers compensation forms and applications. Find more information about Michigan workers compensation insurance. We've developed Pay As You Go worker compensation programs that reduce or eliminate premium deposits and allow Michigan employers to report and pay premium based on actual payroll wages. Reduce your audit risk. As a national agency specializing in the unique needs of workers compensation, we've leveraged our insurance company relationships to design cutting-edge programs and solutions for target industries in Michigan. Get a Free Policy Review Need Help With Michigan Class Codes? Time is money. And we know business owners have a lot on their plate to get done. Our Michigan work comp Specialists are waiting to review you coverage quickly and thoroughly to ensure you are getter the lowest rates possible for your company's workers compensation insurance. Insurance rates vary significantly between NCCI classification codes. Let our Michigan Workers Compensation Specialists help you determine your correct workers compensation class codes before your buy a policy. We'll help make sure your business is properly covered. We're a National Agency, and we have tons of carriers offering work comp in Michigan. We have access to over 35 insurance companies with a diverse appetite and competitive rates. Our markets know we expect the lowest rates, bigger discounts, and more policy credits when we request a quote. Did you know that the cost of a workers comp policy in Michigan can vary significantly between insurance company, underwriter, and insurance agency? Employers with 1 or more employees that work 35+ hours a week for 13 weeks a year or longer are required to purchase workers compensation insurance. Companies with 3 or more part-time employees are also required to purchase coverage. Sole-Proprietors are not required to cover themselves on workers compensation insurance. There is not a Michigan exclusion form for sole-proprietors. Partner are generally included on a workers comp policy. The may elect to be excluded in the same manner as Corporate Officers. Officers of a Corporation and LLC Members are generally included under work comp coverage but may elect to be excluded under certain circumstances. An Election or Rejection of Coverage Form (WC-338) must be filed with the state and insurance company. Executives may only be excluded if the corporation has 10 or fewer shareholders and executive owns at least 10% of stock. Sole-Proprietors and Partners who include themselves on workers compensation coverage must use a payroll amount of $20,500 for rating purposes. (As of 01/01/2019). Officers and LLC Members who are not excluded from coverage must utilize a minimum payroll of $26,000 and a maximum payroll of $104,000 for the purpose of rating workers comp premium. (As of 01/01/2019). Michigan is an excellent state for workers' compensation insurance. Average rates for the state are approximately 9% below the national average. At Workers Compensation Shop.com, we help Michigan business owners find the best deal on their workers comp coverage. Let us help place your insurance coverage now. Give us a call today at 888-611-7467 or get started online. We've already helped thousands of Michigan employers buy more affordable coverage for their business.